The REDCA have released a useful document outlining how to define a radio module with respect to the Radio Equipment Directive 2014/53/EU. 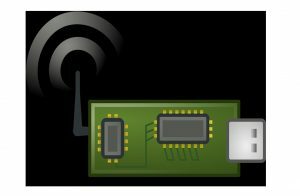 In short it describes what constitutes as a radio module and how the RED should be applied in relation to its purpose and function. Radio equipment module which is intended for installation into a host product. All radio circuitry is contained on the module; but the module does not include an integral antenna or an antenna connector. Pins or solder pads are used for connection to a circuit trace on the host product, and the antenna is intended to be placed on the host product. It may use the control and power supply of the host product for operation. It is soldered onto the host product and may take the appearance of an integrated circuit (chip) as part of the host product. There is also some useful examples shown in Annex A of TGN01 to help clarify . Also if the host device could effect the performance of the radio module or the application/environment is not as intended then RED may still apply. As with any RED product a risk assessment should highlight any additional testing and help make an informed assessment. Presumption of conformity is not sufficient unless technical analysis, test data and information provided by the radio module manufacturer to the final radio product can be assessed. However, if a meaningful and representative assessment of the radio performance requirements on the radio module were not performed, or are not available to the final radio product manufacturer; then a complete assessment of the final radio product is required. The above is only summary of our understanding and not binding information, you should read the document in full to really appreciate what is required as it considers nearly all circumstances and is very informative. The REDCA publishes Technical Guidance Notes (TGN’s) which are related to activities carried out by RED Notified Bodies, listed on NANDO, but are also of interest to other parties such as Test Laboratories, Consultants and Manufacturers. These mostly have their origins in questions raised by REDCA members and are issued after discussion and approval by the REDCA membership. They are as information input provided to the European Commission’s TCAM WG. REDCA TGN’s must be understood as giving general guidance to facilitate comprehension and practical implementation of the conformity assessment procedures of the Radio Equipment Directive 2014/53/EU. They have no legal force but are often considered to be State of the Art.